Texas 4th in Venture Investing? Stay tuned to all the IITI news and activities centering around IITI’s mission bringing foreign investments to the great state of Texas. SAVE THE DATE: November 13th - 15th! Venture Texas Conference 2019 plans to bring together hundreds of international, U.S. and Texas venture capital investors for two days to collaborate, connect and discover why everything is bigger and better in Texas. The conference fills a void in the Texas venture capital industry, with a focus on investors instead of entrepreneurs, bringing together partners representing billions in assets under management. This year’s VTX Conference will feature Keynote Speaker, Henry Cisneros, the former U.S. Secretary of Housing and Urban Development and San Antonio Mayor who will talk Texas investment, economy and opportunities. The conference held in historic and tourist friendly San Antonio, TX will be a combination of high-profile speakers, seminars, networking events and investor matchmaking. The first two days will help develop Texas specific knowledge, market know-how, and deepen investor networks as well as attract new domestic and foreign investment to Texas. The last day will feature selected matchmaking of investing projects with attending investors. February 12th - The 4th annual Chinese New Year celebration featured Chinese tradition, entertainment, networking and food on February 10th. This year was the Year of the Pig or, as some would rather call it, the Year of the Boar. Acclaimed Chinese artist Guo Aihe from China gave an entertaining presentation of his touring exhibit. Also in attendance were special guests Judge Elisabeth Earle, Advanced Power Alliance Executive Director, Jeff Clark and Mainstay Global’s Dandan Zou. IITI Executive Director Richard May and IITI Promotions Manager Cici Zhu hosted the event. The audience were treated to the talents from children ages 8 years to teenagers performing the traditional Chinese Guzheng instrument, piano, trumpet and dance. Throughout the event, attendees won varying prizes through the traditional Chinese Red Envelope drawings. Attending were local business people, Chinese investors and the Chinese community to network, learn about Chinese traditions and celebrate Chinese New Year together. Thank you to Mainstay Global and Advanced Power Alliance for being generous sponsors of the event. The celebration was a black-tie and family event. It was held at the Russell Fine Art Gallery at 1009 W. 6th Street, Austin, TX 78703. The Russell Art Gallery was the U.S. opening for the art exhibit by Chinese Ceramic Master Guo Aihe. To see how much fun the event was go to IITI’s Flickr page. 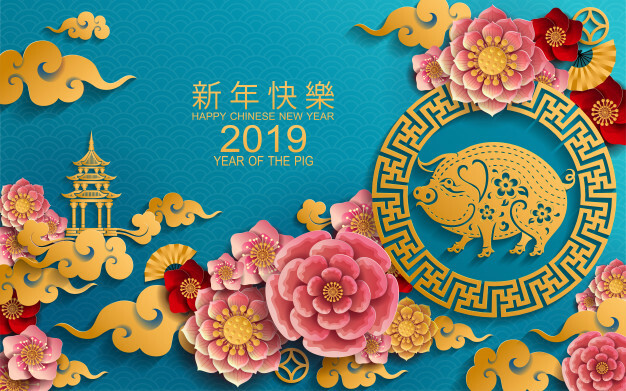 Feb. 5th - 19th is the Year of the Pig. The last of the 12 zodiac symbols. In terms of the yin and yang, the pig is the yin and commonly known as the symbol of wealth. In regards to IITI, it means a great excuse to get together. December 6, 2018 - Invest in Texas Initiative’s holiday happy hour and networking event showed why IITI’s here and stronger than ever. A group of the investment community that included venture firms, incubators, real estate developers, bankers, lawyers and economic development officials came together to swap stories of economic opportunities and enjoy some holiday cheer. The investment landscape spanned from a proposed air rail that can whisk you away from Austin to Los Angeles in 25 minutes to the real estate value and opportunities on the I 35 corridor from Austin to San Antonio. The event was hosted and held at the Austin ArtSpace where local artists have permanent studios and a gallery that hosts rotating exhibits. The current exhibit featured art from military veterans and was the highlight of the event. Guests were treated to a tour of each art piece and the compelling stories behind them. Many were from veterans suffering from PTSD and how the process of creating their personal artwork helps the processing of their war experiences. The opportunity such as this exhibit also nudges them out to social events where they interact with other veterans and those interested in art. That’s important because many PTSD veterans will isolate themselves furthering their condition. IITI’s holiday happy hour and networking event ended up being mission complete and successful. IITI’s mission is to connect investors with investees and all those who support the daunting task. IITI’s Dandan Zou and Richard May spoke about the momentum IITI is creating with the advent of a circle of international investors equaling $250 million to now international and domestic investors valuing $3 billion. These new investors span the range of industries from real estate to high tech and anything in between. And the countries that are interested in investing in Texas range from Australia, Europe and Asia. IITI sends out many thanks to Mainstay Global for sponsoring the event. Capital Factory’s Joshua Baer gives a presentation to the Chinese investors on the power of Capital Factory. The current analysis of the sensitive trade relations with China was the hot topic during the conference and how that could affect foreign investment to Texas. University of Texas LBJ School of Public Affairs China Public Policy Founder, David Firestein opened the conference with his short analysis and closed the conference with a full analysis. All of which was spoken in fluent Chinese by Firestein to the Chinese dominated audience. That prompted the many university student volunteer interpreters to translate his insightful assessment to the U.S. attendees. Opening the conference was a genuine Texas welcome from State Representative Eddie Rodriguez and an international welcome from IITI Chair Dandan Zou. The forum was MC’d by IITI Executive Director Richard May with presentations from Georgetown mayor Dale Ross, Chinese investor Yonghua Wang and international attorney, Owen Gu covering all of the aspects of why to invest in Texas and why the Chinese are looking to invest in Texas. Capping the session was David Firestein, giving a brief update on the current and sensitive U.S./China relations. Mainstay Global’s Jared Mermis started off the next morning talking about the external environment of living and investing in Texas and University of Texas at San Antonio International Trade Center’s Jaime Martinez on the resources that are available for foreign investors. After their presentations the dialogue was dominated by two powerful conversations going on in the Texas business environment, especially in Austin, was real estate and high-tech featuring four-person panels from each. In the afternoon and evenings, IITI stayed true to their concentration with real estate and high-tech. Wednesday, the Chinese guests were treated with a tour and reception at the Capital Factory. The Capital Factory is a technology incubator, accelerator and venture fund all rolled into one. The Capital Factory houses hundreds of businesses centered around high-tech and sponsor all shapes and sizes from one-man startups to Dell, Texas A&M and Walmart. The next day’s afternoon event featured a hard hat tour of the Proper’s high rise condo/hotel development in downtown Austin from Bailey Tipps. The tour included IITI investors and attendees shooting up 40 stories in a large open cage to witness their art in progress of two story condos ranging from $1-6 to $1.8 million to one bedroom condos at a mere $750,000. The hard hats were necessary as the high-rise is still in full construction mode featuring concrete, no windows and a lot of space that the tour guide had to fill in for the imagination. The hard hats also helped with the constant rain while the open holes soon-to-be windows showed the 40-story high view of the historic floods rushing down the Colorado River aka Lady Bird Lake just below. That evening, the guests were treated to a reception at the Grove Real Estate Development offices in central west Austin. The Grove is a brand new mixed-use development just beginning a few blocks down the road at 45th street and Bull Creek Road that will showcase a different but similarly priced homes in a neighborhood setting rather than a high-rise. Along with dinner, The Grove’s Edjuan Bailey gave a detailed demonstration of the homes to be built and the return on investment those homes will provide to any investor. The final day represented the heart and soul of the conference which was investing matchmaking from projects in Austin, San Marcos and Frisco to the attending Chinese investors. Projects included investment into “opportunity zones” presented by Teresa Shell and Bryce Berta from Shell Real Estate Services. Joshua Baer touting the many investment opportunities from the Capital Factory. Jian Hu presenting the Daytona multi family development. Steve Tolen from Indie Powers needing more funding to complete the management of their innovative energy battery system. Kavi Capital’s Eduardo Viesca and Alfredo Kawage presented their apartment development in San Marcos to fill the growing population in the area especially in terms of Texas State University Students. Then Calvin Chen and Bethany Fadel showcasing their innovative design and development looking to fund the remaining of the development. The next presentation was an in-depth analysis of the U.S./China tariff “war” from David Firestein. Speaking in fluent Chinese, volunteer Chinese college students helped all of the U.S. attendees understand the complicated nuances going on between Shanghai and D.C. What does it mean today and especially for tomorrow. The last of the program showcased Jared Mermis being awarded the IITI International Business Award. David Firestein received the IITI International Partnership Award and all of the Chinese student volunteers receiving IITI Ambassador Awards. Capping off the event was a private tour of the LBJ Presidential Library for the international guests and attendees. Visit IITI’s Flickr page to view all of the activity of the conference. IITI and Mainstay Global attended the IIUSA EB-5 Advocacy Conference in Washington D.C. IITI was joined by over 350 EB-5 stakeholders. The Invest in Texas Initiative and Mainstay Global co-hosted the seventh annual Sino-Texas Business & Investment Forum in Dallas, Texas. The forum focused on facilitating business opportunities in both the U.S. and China as well as showcasing North Texas as an ideal destination for foreign investment opportunities. Bryan Daniel, Executive Director for Economic Development for the Office of Governor Greg Abbott was one of our honorary attendees. IITI and Mainstay Global hosted a Chinese New Year Gala for 2017, the year of the Rooster. There were traditional Chinese performances and activities for a great turnout of people interested in Chinese culture. IITI and Mainstay Global attended the Wade Park Signing Ceremony for the 175-acre mixed use development located in Frisco, Texas, a suburb of Dallas. IITI Directors attended the 2017 Presidential Inaugural Ball in Washington, D.C.
IITI Directors attended the Las Vegas EB-5 Investors Conference in Las, Vegas, Nevada. There were more than 1,000 attendees, among them a diverse group of over 120 migration agents, along with EB-5 regional centers, immigration and securities attorneys, developers, broker-dealers, and other EB-5 program stakeholders. The event featured keynote speeches by U.S. Sen. Jeff Flake (R-AZ) and U.S. Rep. Jared Polis (D-CO-2nd). IITI and Mainstay Global attended the Texas China Summit in Austin, Texas, which focused on bringing investment from China to Texas. This event featured Guest Speakers Steve Adler, Mayor of Austin and Lieutenant Governor of Texas Dan Patrick. IITI and Mainstay Global attended the IIUSA Conference on EB-5 Investing. Charlie Oppenheim, Chief of the Visa Control and Reporting Division, U.S. Department of State was a Keynote Speaker. IITI and Mainstay Global attended the Grand Opening of the Sheraton Georgetown Texas Hotel & Conference Center in Georgetown, Texas. IITI and Mainstay Global participated in the Sheraton Georgetown Hotel & Conference Center Ribbon Cutting ceremony in Georgetown, Texas. The Sheraton Georgetown was financed in part with EB-5 Funding. IITI and Mainstay Global hosted the 2016 Chinese New Year Gala in Austin, Texas. Dandan Zou attended the 2015 Chamber Training in Houston, Texas. The Chamber Training Institute program offers chamber leaders and Board of Directors a world-class learning experience to develop business and managerial skills across a wide range of topics. Since 2010, over 700 chamber leaders from across the country have participated in the program, returning to their communities to foster the growth and prosperity of small businesses. IITI and Mainstay Global attended the Sheraton Georgetown Texas Hotel & Conference Center Ground Breaking Event in Georgetown, Texas. Dandan Zou attended the China International Fair For Investment and Trade in Xiamen, China. Themed on "Introducing FDI" and "Going Global", CIFIT focuses on nationality and internationality, investment negotiation and investment policy promotion, coordinated development of national and regional economy, as well as economic and trade exchanges across the Taiwan Strait. Some of IITI and Mainstay Global's Investors came to visit the Austin, Texas office. IITI Directors spoke at the Quarterly Meeting and shared recent achievements and developments in Texas Foreign Direct Investment. An investor also shared her successful experience on investing in Texas. Scholarships were given to two UT students. The 1st Sino-Texas Business & Investment Forum was successfully held in Austin, Dallas and Houston, Texas.